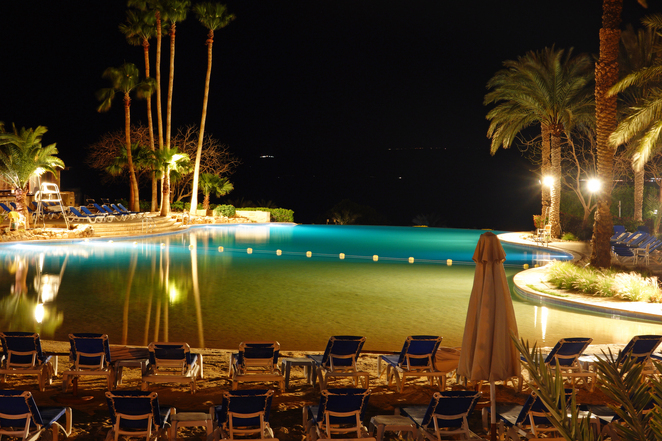 We stayed at the Movenpick resort in the Dead Sea. 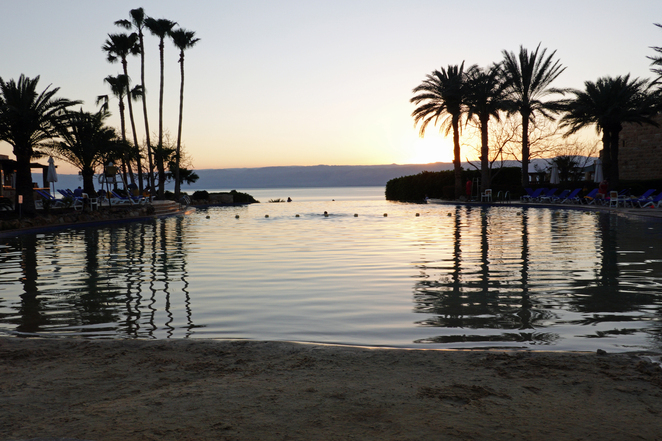 Each resort has its own private section of the Dead Sea. 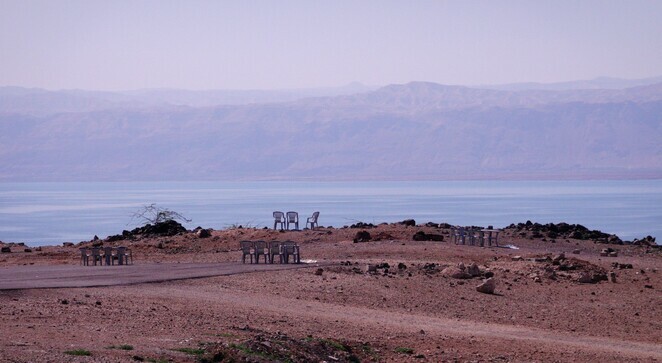 Across the sea, you can see the African mountains and into Israel. At night you get to see the lights of Jerusalem. The clothing restrictions seem a bit slacker at the resorts with women and men walking around in their swimmers. You cannot swim in the Dead Sea but you float instead. It has 30% more salt and you should ensure it does not go in your eyes. If you are not up for a float, the resorts have a number of pools to choose from. The Dead Sea area is somewhat hotter than other areas, which makes it an escape for the Jordanian people on their weekends being Friday and Saturday. As we drove around there were a number of cars pulled up along the highway with people sitting under trees having picnics. They even had food and drink stalls and you could hire shish pipes and tables and chairs.